The perfect finishing hole, a superb dog leg right to test the nerves. An accurate tee shot is required to find the fairway and the ball will bounce to the right when it lands so aim for the left side. When playing from the fairway you need to take care as you may well be playing from a sloping lie. 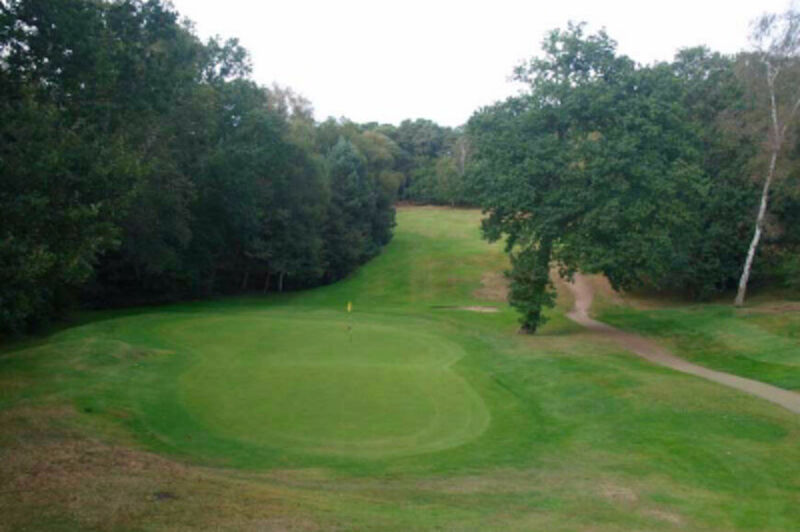 The green is double tiered so do your best to hit onto the correct level, otherwise you will have a tricky putt to deal with under the watchful gaze of the clubhouse gallery.